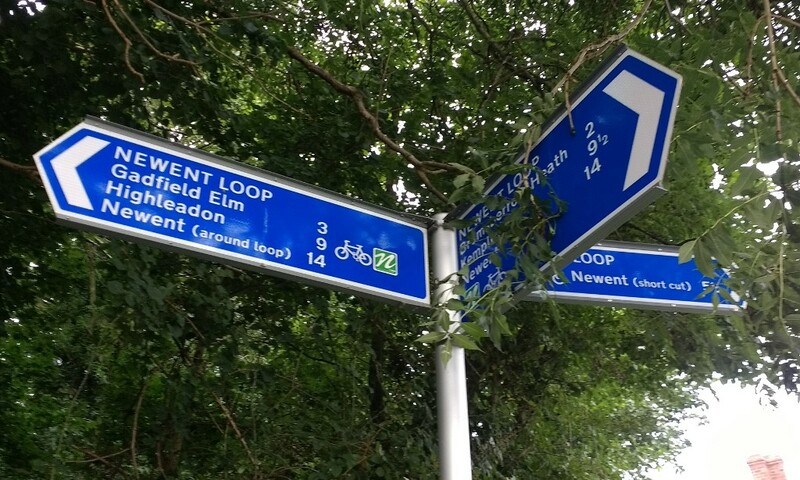 The Newent Loop is a 45km cycle route, starting and ending in Newent (funny that). We discovered its existence when we spotted a few signs on a previous ride, so for last weekend's Sunday evening ride, we went and rode the full loop in an anticlockwise direction. 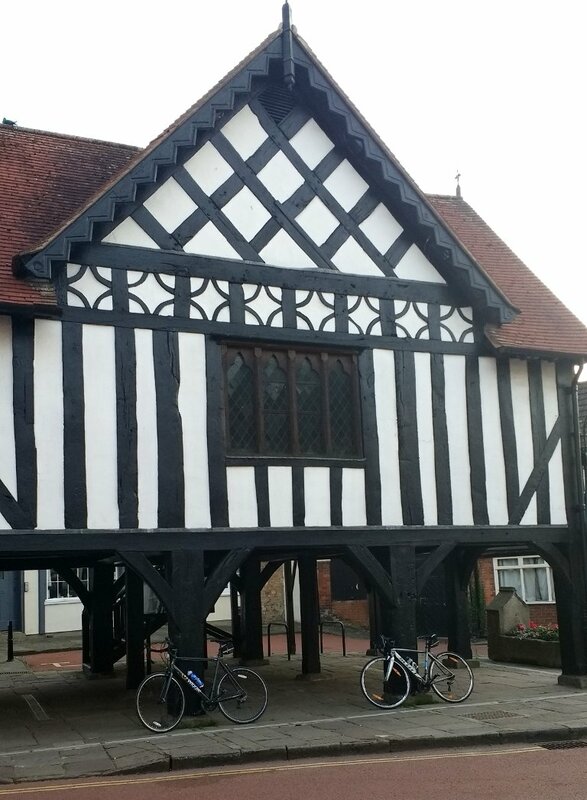 The big car park in the town centre has a large map on the side of the toilet building, but the entire route is very well signposted - we didn't need to stop and check directions at all. There's also a signposted shortcut that splits the route into two smaller loops. The roads were quiet with generally good quality surfaces although it did get a bit 'countryside' in places with mud and plants growing up the middle! There aren't any major hills, which was good for me as it turns out going uphill is annoyingly slow when your front derailleur has decided it doesn't like the middle ring and you end up granny gearing it (yes, I ride a triple). The only non ideal part of the route: as you come back into Newent the "cycle" path gained some "cyclists dismount" signs and we had to walk for a short distance. Boo. Having looked at a map afterwards, I now realised this could have been easily avoided by turning onto Gloucester road, but I guess the route doesn't do that because it gets busier with traffic in the daytime? Certainly something to remember if I find myself riding this again! If you wanted to stop along the way and visit any places of interest (churches, chapels, maybe even a detour to Hartpury bee shelter), or for a picnic and general enjoyment of the surrounding countryside I think this would make a nice half day out. I'd certainly have stopped to take more photos if I'd been riding by myself.